The Care Inspectorate have just published Food Matters, because they want services to support children to have positive eating experiences and enjoy well-balanced nutritious food. 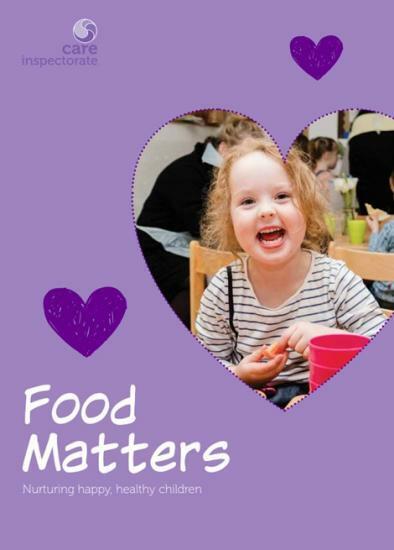 Food Matters is a new resource about nurturing happy, healthy children and it shares good practice examples from across Scotland's early learning and childcare (ELC) sector. Providers, practitioners and families tell their own stories of how they are supporting children to eat well and enjoy good food every day.